Periodically, it is beneficial for me to present a review of accumulated scientific knowledge regarding key nutrients and remind readers of their importance. In this article, I will review some of the research and clinical findings on vitamin C that have been gathered over the past 70 years. As you will see, vitamin C is an amazing nutrient! Vitamin C typically is called l-ascorbic acid or ascorbate and is an essential nutrient for humans and other animal species. The term “vitamin C” refers to a number of vitamins that have vitamin C activity in animals, including ascorbic acid and its salts (e.g., magnesium ascorbate, calcium ascorbate, sodium ascorbate, etc. ), and some oxidized forms such as dehydroascorbic acid. Vitamin C is a cofactor in at least eight enzymatic reactions, including several collagen syntheses reactions that when dysfunctional (usually because of lack of Vitamin C) cause the most severe symptoms of scurvy. In animals, these reactions are especially important in wound healing and in preventing bleeding from capillaries. Ascorbate acts as an electron donor and/or hydrogen donor, and this ability makes it a potent antioxidant. It rapidly reduces superoxide and nitroxide radicals and scavenges hydroxyl, alkoxyl, and peroxyl radicals. It also reacts with non-radical species such as singlet oxygen and hypochlorous acid. It has been observed in in vitro experiments that Vitamin C acts as the first line of defense in the plasma. 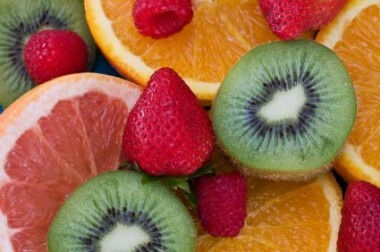 Vitamin C can “recycle” other antioxidants (i.e., due to its function as an electron donor) and thereby allow these antioxidants to quench more free radicals. Also, the one- and two- electron forms of vitamin C, semidehydroascorbic acid and dehydroascorbic acid, respectively, can be reduced in the body by glutathione and NADPH-dependent enzymatic mechanisms. The presence of glutathione in cells and extracellular fluids helps maintain ascorbate in a reduced state. The vast majority of animals and plants are able to synthesize vitamin C, through a sequence of enzyme-driven steps. However, some animals, including guinea pigs and humans, lack the enzyme that is required in the last step of vitamin C synthesis. These species are able to survive with the lower levels available from their diets by recycling oxidized vitamin C. Animals that have the enzyme needed to synthesize of vitamin C do not have the ability to recycle oxidized vitamin C.
Ascorbic acid is absorbed in the body by both active transport and simple diffusion. Sodium-Dependent Active Transport—Sodium-Ascorbate Co-Transporters (SVCTs) and Hexose transporters (GLUTs)—are the two transporters required for absorption. SVCT1 and SVCT2 import the reduced form of ascorbate across plasma membrane. GLUT1 and GLUT3 are the two glucose transporters, and transfer only the dehydroascorbic acid form of Vitamin C.
Although dehydroascorbic acid is absorbed at a higher rate than ascorbate, the amount of dehydroascorbic acid found in plasma and tissues under normal conditions is low, as cells rapidly reduce dehydroascorbic acid to ascorbate. I have used this fact to advantage by incorporating dehydroascorbic acid in several of the products I have formulated (Ultimate Protector™ and Synergy C). This approach allows for greater absorption and retention of vitamin C in the body. Ascorbate concentrations in the blood above the kidney (renal) re-absorption threshold pass freely into the urine and are excreted. At high dietary doses, ascorbate is accumulated in the body until the plasma levels reach the renal resorption threshold, which is about 1.5 mg/dL in men and 1.3 mg/dL in women. Concentrations in the plasma larger than this value are excreted in the urine with a half-life of about two hours. Although the body’s maximal stores of vitamin C are to some extent determined by the renal threshold for blood, there are many tissues that maintain vitamin C concentrations far higher than in blood. Biological tissues that accumulate over 100 times the level in blood plasma of vitamin C are the adrenal glands, pituitary, thymus, corpus leuteum, and retina. Tissues with 10–50 times the concentration present in blood plasma include the brain, spleen, lung, testicle, lymph nodes, liver, thyroid, small intestinal mucosa, leukocytes, pancreas, kidney, and salivary glands. Historically, the discovery of vitamin C was related to the findings that a substance in citrus fruits (and other fresh foods) was able to prevent scurvy. In the early 1930s research teams in Hungary (led by Albert Szent-Georgi) and Pittsburgh, Pennsylvania USA (led by Charles Glen King) first identified the anti-ascorbutic factor. Szent-Georgi initially called it l-hexuronic acid, but later proposed that the substance L-hexuronic acid be called “a-scorbic acid,” and chemically “L-ascorbic acid,” in honor of its activity against scurvy. Shortly thereafter (around 1934), the Polish chemist Tadeus Reichstein succeeded in synthesizing the vitamin in bulk. The process made possible the cheap mass-production of vitamin C, which was quickly marketed by the Hoffman-La Roche company. Even today, all industrial methods for the production of ascorbic acid are based on the Reichstein process. The Reichstein process involves using microbial fermentation of sugar derived mainly from corn, potatoes, or beets. When the final product is highly purified to over 99.9% purity in accordance with USP standards, none of the protein from the original source remains. The product is bio-identical to vitamin C found in plants and animals. This is an important fact in the current issues relating to genetically modified organisms (GMOs) in corn, potatoes, and beets. Polymerase chain reaction (PCR) testing is currently used to verify and certify that most of the vitamin C being produced is GMO free. To learn more about testing for GMOs, visit: http://www.gmotesting.com/Testing-Options/Genetic-analysis.aspx. Bone and its connecting ligaments and tendons obtain strength from a long, chain-like protein molecule called collagen. Collagen is a structural protein that is the main component of connective tissue, and is the most abundant protein in mammals, making up about 25% to 35% of the whole-body protein content. Vitamin C is vital to the body’s production of collagen. Absence of vitamin C causes scurvy, leading to spongy gums, loosened teeth, bruising, and bleeding into the mucous membranes. Several of these symptoms are caused by loss of collagen and connective tissue from blood vessels, which then become fragile and unable to respond to blood pressure and other stresses. Studies have shown that vitamin C concentrations in the plasma and leukocytes rapidly decline during infections and stress. 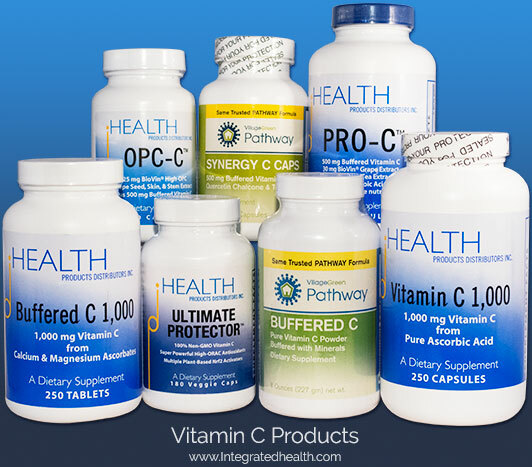 Supplementation of vitamin C has been found to improve components of the human immune system such as antimicrobial and natural killer cell activities, lymphocyte proliferation, chemotaxis, and delayed-type hypersensitivity. Vitamin C contributes to maintaining the redox integrity of cells, and thereby protects them against reactive oxygen species generated during the respiratory burst and in the inflammatory response. It is therefore clear that vitamin C plays an important role in immune function and the modulation of host resistance to infectious agents, reducing the risk, severity, and duration of infectious diseases. Vitamin C plays a role in protecting the brain and nervous system from detrimental effects of stress. Synthesis and maintenance of the chemical messengers (neurotransmitters) adrenaline (epinephrine) and noradrenaline (norepinephrine) depends on an adequate supply of vitamin C. These neurotransmitters are vital to brain functioning and affect people’s mood. They function as stress-signaling hormones and are produced in the adrenal glands, from which they derive their name. The adrenal glands and central nervous system maintain high levels of vitamin C by means of special cellular pumps, which absorb the vitamin when the body is deficient. Vitamin C is also needed for synthesis of carnitine, a small molecule involved in transporting fat (lipids) to mitochondria, the “furnaces” of the body’s cells that burn nutrients to produce energy. The energy provided is used either to power the cells’ activities or to provide antioxidant electrons that prevent harmful oxidation. Vitamin C is involved in breaking down cholesterol to form bile acids. This may have implications for people needing to lower their cholesterol levels. While the role of cholesterol in causing cardiovascular disease is generally overstated, the action of vitamin C on cholesterol levels suggests that higher levels may lower the risk of gallstones. Vitamin C has been shown to lower lipoprotein a (LPa) levels in the body. High LPa levels correlate strongly with cardiovascular disease. Dr. Linus Pauling and others have suggested that the body uses plaques containing LPa to “patch” weak blood vessels that are caused by insufficient levels of vitamin C to build strong vessels with adequate collagen. Vitamin C is widely known as an antioxidant, a substance that fights free radicals that can damage tissues and cause illness. As the principal water-soluble antioxidant in the diet, vitamin C is essential to health. A shortage of vitamin C results in free radical damage to essential molecules in the body. The molecules affected include DNA (deoxyribonucleic acid) and RNA (ribonucleic acid), proteins, lipids (fats), and carbohydrates. Examples of sources of damaging free radicals and oxidation include mitochondrial by-products, chemical toxins from smoking, exposure to pesticides, as well as x-rays and other types of radiation. The importance of vitamin C in preventing free radical damage, aging, and oxidation is frequently understated by those who are unaware of the volumes of research and clinical studies that have been conducted since the 1930s. An adequate supply of vitamin C enables the regeneration of vitamin E and other antioxidants in the body. The main water-soluble antioxidant generated within our cells is called glutathione, a small protein molecule (tripeptide of the amino acids glutamic acid, cysteine, and glycine) that plays a central role in protecting our cells from oxidation damage. Because glutathione is typically present in ten times the concentration of vitamin C, it has often been considered to play a more important role. However, the functions of vitamin C and glutathione are linked with vitamin C being required for the antioxidant functioning of glutathione, even when glutathione is present in a significantly greater concentrations. In nature vitamin C is often found in combination with plant substances called polyphenols and bioflavonoids. 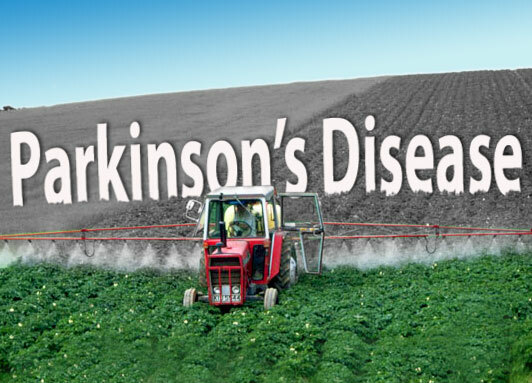 These plant substances are often powerful antioxidants and Nrf2 activators that stimulate the body’s endogenous production of protective enzymes. In fact, oligomeric proanthocyanidins (OPCs) from grape seeds and pine bark have been shown to cross link and strengthen collagen that requires vitamin C for synthesis. For these reasons, it makes sense to combine vitamin C with these plant substances. I have formulated powerful products such as PRO-C™ and Ultimate Protector™ that contain vitamin C with plant substances such as grape seed extract, green tea extract, and fruit and vegetable extracts high in Nrf2 activators. Single-digit, gram-level doses of vitamin C may prevent many diseases, but much higher doses are required for treatment of illness. The massive doses needed for therapy are often in the range of 50–100 grams (50,000–100,000 mg) of vitamin C per day. Most clinical studies have considered doses of a single gram. A dose 100 times larger has very different properties. An optimal intake of vitamin C is the amount that prevents or cures disease while minimizing the potential risk. It is a ridiculous assumption to think that intakes sufficient to prevent acute scurvy are adequate to prevent or treat other diseases. Furthermore, there is plenty of evidence that the intake of vitamin C needed to prevent chronic illness is much greater than the RDA. A person starting to take vitamin C supplements is starting from a level of relative deficiency. By taking repeated doses, the levels in the tissues and blood plasma increase and more can be tolerated. Human requirements for vitamin C appear to be more variable than previously realized. The key point is that people need more vitamin C — and in many cases far more — than previously assumed. Using the criteria used to set the RDA, and removing the errors, leads to a suggestion that the intake for a healthy adult should be in the range of about 500 mg to 20 grams (20,000 mg), or even more. 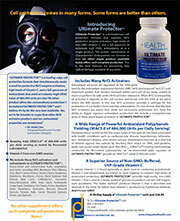 Some individuals would require low doses and would not tolerate higher intakes. Other individuals need higher levels, above 10 grams. A person who wishes to estimate his or her own requirement needs to determine their bowel tolerance level. To do this, start with a low dose and repeat it each hour until bowel effects (gas, distension, and loose stools) are observed. This level of intake is your bowel tolerance level and the optimal intake is 50% to 90% of this maximum. Keep in mind that a high carbohydrate intake can interfere with the bowel tolerance test and falsely indicate a lower limit. In addition, during times of illness your bowel tolerance level can be many times higher than when you are in a state of good health. Furthermore, the level that a person can tolerate increases with time, as dynamic flow is maintained. People vary in their requirements and it is not possible to provide a definitive statement about intakes that applies to all. Furthermore, a person’s requirement will vary, increasing with even a slight illness. The minimum intake required to raise a typical adult’s blood plasma levels consistently is two to three grams (2,000–3,000 mg) per day, in divided doses of about 500–1,000 mg. For some, this will be too high and they may need to lower the dose slightly. For many, this intake will be far too low to provide resistance to infections and chronic disease. Vitamin C is remarkably safe, which is not surprising considering it is essential to human life and is actively retained in the body. Vitamin C is a simple molecule, used by both animals and plants, often at high concentrations. Organisms have had hundreds of millions of years to evolve mechanisms for prevention of damage by vitamin C. But even allowing for such tolerance, the safety of vitamin C is outstanding. It is unusual in that it can be taken in massive doses, for long periods, without apparent harm. Therapeutic levels of vitamin C required for dealing with serious illnesses are much higher than the levels described above. Under these conditions, Dr. William Klenner, one of the pioneers of vitamin C usage, recommended the amount of 350 mg per kilogram of body weight per day. In most cases, Dr. Klenner recommended that the doses be divided into amounts taken hourly during waking hours. For example, a 50 kg (110 lb) person should take a total of 18,000 mg daily in hourly 1,000 mg doses for 18 hours. A 100 kg (220 lb) person should take 36,000 mg daily in hourly 2,000 mg doses for 18 hours. When dealing with conditions of illness these (and even higher) doses do not usually cause diarrhea. However, you can adjust these starting doses up or down according to your bowel tolerance level. Vitamin C is considered to be a vitamin because in relatively small amounts (less than 60 mg) it prevents and cures scurvy. However, vitamin C is so important that virtually every plant and animal on this planet requires it to be healthy. In conditions of good health the body needs between three and twenty (3–20) grams of vitamin C daily to maintain good health and prevent a wide range of serious health problems. In many conditions of poor health and illness the body can require amounts of vitamin C as high as 100 grams (and in some cases more) in order to recover. The best way to determine your personal need for vitamin C is to check your bowel tolerance level and supplement in divided daily doses with about 70% of this level. 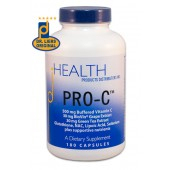 My personal recommendation is that most people should take the buffered forms of vitamin C that are combined with other antioxidants and plant polyphenols such as are in PRO-C™ and Ultimate Protector™. 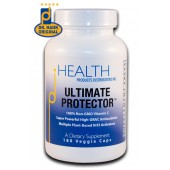 In cases where higher levels of vitamin C are called for (greater than 20 grams daily) I suggest adding buffered C powder and or ascorbic acid crystals to the PRO-C™ and Ultimate Protector™. In my personal experience, vitamin C is an amazing nutrient especially in combination with other antioxidants. 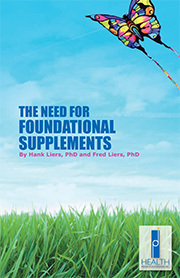 For this reason it is one of the foundational supplements in the HPDI Master Rejuvenation Program. The Vitamin C Cure for Heart Disease. Hilary Roberts and Steve Hickey, 2011. Vitamin C: The Real Story. Steve Hickey and Andrew Saul, 2009. Curing the Uncurable: Vitamin C, Infectious Diseases, and Toxins, 3rd Ed. Thomas E. Levy, 2009. Cancer and Vitamin C: A Discussion of the Nature, Causes, Prevention, and Treatment of Cancer With Special Reference to the Value of Vitamin C. Ewan Cameron and Linus Pauling, 1993. How to Live Longer and Feel Better. Linus Pauling, 1986. Vitamin C, the Common Cold and the Flu. Linus Pauling, 1977. The Healing Factor: Vitamin C Against Disease. Irwin Stone, 1972.